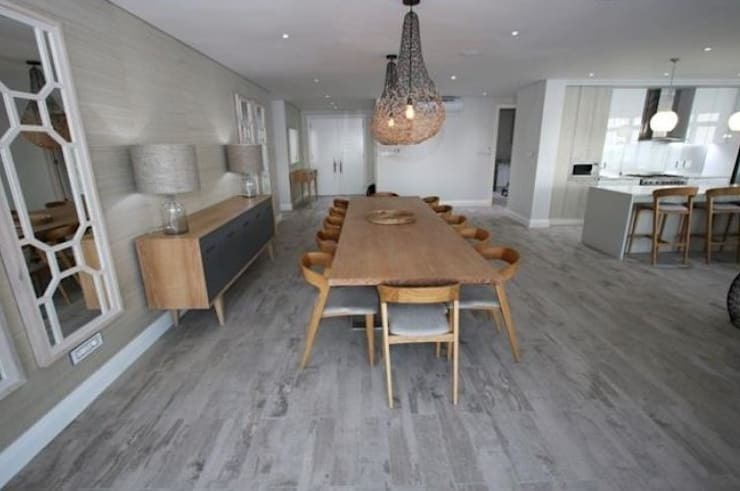 In this edition of homify 360, we head to Kwa Zulu Natal, South Africa. 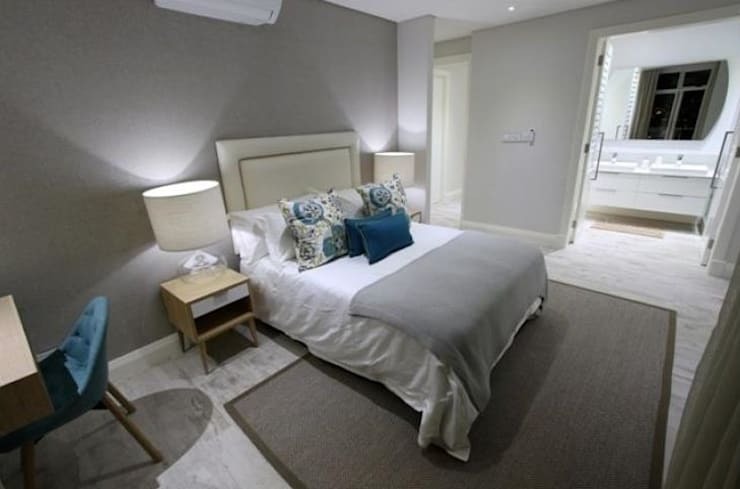 The fantastic and spacious upmarket apartment in the suburb of Umhlanga in Durban is the perfect escape from the hustle and bustle of the city, while still being a stone's throw away from the business district and shopping hub of Durban. The amazing apartment is located on The Oyster Box property, which is one of the most prestigious hotels in the country. This apartment enjoys unprecedented views of the Indian Ocean, and a pathway leads from the property onto the promenade of the beach front location. But, wait until you see the elegance and luxury of the apartment. The spacious terrace is the perfect way to begin this virtual tour, it showcases the simplicity of the style, while also catching a sneak peek of the ocean and beach front location. Think of this outdoor zone as an extension of the interior living space, and enjoy the company of friends and family on your weekend off. The interior designers of this home have taken all angles into consideration before beginning with the design work. Even though this home has an open plan style, the kitchen is something to admire. It's spacious and modern, with more than enough workspace and even an informal dining area for those quick meals before hitting the beach. The neutral colour cabinets provide so much storage, while the minimalist features are the perfect fit for this modern kitchen design.The hanging lights above the eating area is a lovely choice for a romantic atmosphere. If you are one to plan decent dinner parties or celebrate occasions at home, then this lovely dining room table will provide more than enough comfortable space to do so. 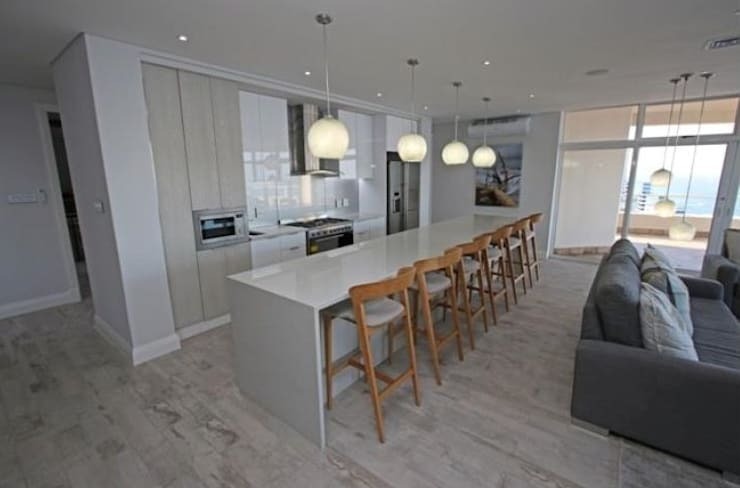 Enjoy the company of your loved ones in the comfort of this gorgeous modern apartment and admire the view of the ocean while you at, the weather is always so amazing at the Durban seaside. This is just one of the three bedrooms in the gorgeous apartment that is full of style and elegance. The neutral use of colour such as grey adds to the modernity of the home, while the blue accented colour of the scatter pillows is the perfect choice for this seaside location. 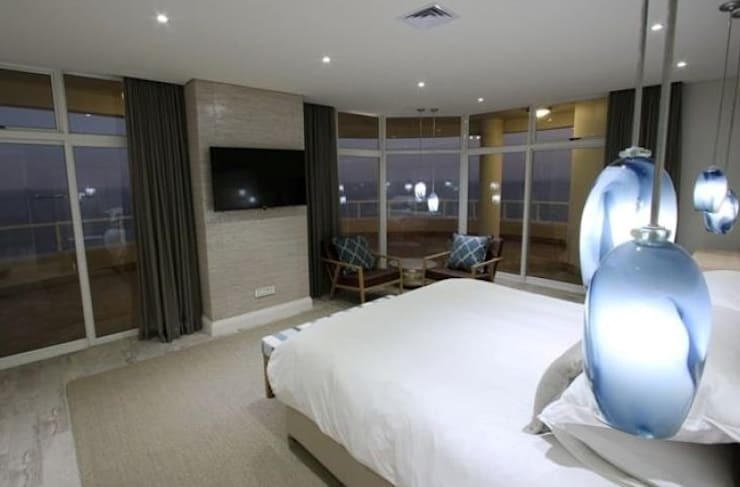 This bedroom has views of the ocean, with a simple decor creating a modern ambiance in the amazing apartment. The large windows are a great feature to wake up to every morning, but artificial lighting is another superb feature in this sleeping quarter of the home. Fall asleep to the sound of waves crashing against the shore, and wake up rejuvenated and refreshed. The all-white bed linen is another top choice for the apartment, recreating an opulent hotel experience, which is absolutely fantastic. 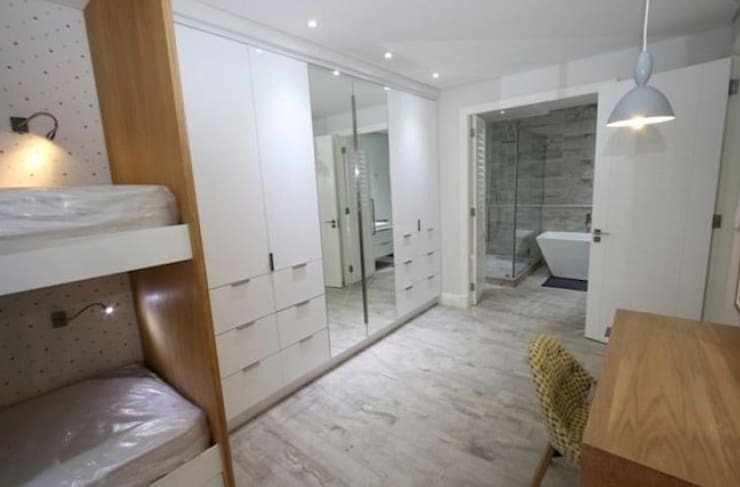 We said this apartment was spacious, so spacious in fact that the main bedroom even boasts a lovely dressing room area and bathroom. This keeps all clothing and clutter out of sight, ensuring that the bedroom is neat and tidy, while allowing for the closet of this room to act as vital storage. The dressing room is filled with simple colours, great lighting and lengthy mirrors, there is no better way to get your outfit perfect, is there? If you loved this modern seaside apartment, then you will enjoy A surprisingly spacious 33 square metre home (that will steal your heart!) too. 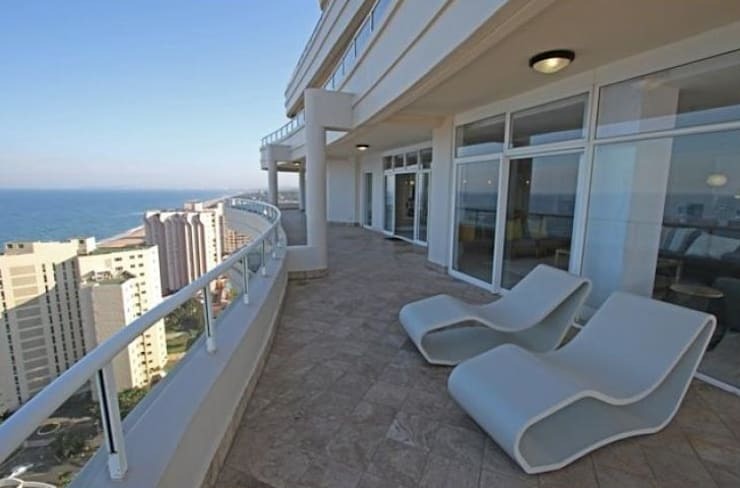 Isn't this apartment in Durban just awesome?